Environmental and Building Services Ltd (www.ebsbioclean.co.uk) understands how complicated and dangerous trauma scenes are if left unchecked. Because of that, they offer trauma scene and after death cleaning solutions. They take pride in their efficient and fast trauma cleaning services which are suitable for both residential and commercial properties. By availing of their services, clients will no longer have to clean trauma and accidents scenes all by themselves. Their professional cleaners will be the ones to clear the blood, body fluids, and other unwanted substances present in the area. They hold a waste carriers license to demonstrate where the hazardous waste has been brought for disposal. In order to provide thorough trauma cleaning services to their customers at all times, they make sure that their cleaners underwent comprehensive industry training, possess the appropriate vaccines, and received the accredited safety training. On top of that, they also have £5,000,000 of public and products liability insurance with all of their service staff and a fleet of vans. Besides cleaning of the trauma scenes, Environmental and Building Services Ltd can also help in dealing with families who have found a relative in their homes who has been murdered, died in an accident, or committed suicide. According to them, “This can be quite a traumatic and a highly emotional experience for the family. We can provide a respectful and professional after-death cleaning services without causing any undue stress to the family”. All personal items of the deceased that are found while cleaning will be sanitised properly and passed over to the family members. To further help their clients, they also offer free no-obligation quotes after conducting a survey of the scene that needs to be cleaned. This will allow their clients to prepare their budget ahead of time. Those who are interested in availing of this service may call 01277 218241. Aside from trauma scenes, they can also help in cleaning squatters, gutters, sewage, flooded areas, and many more. 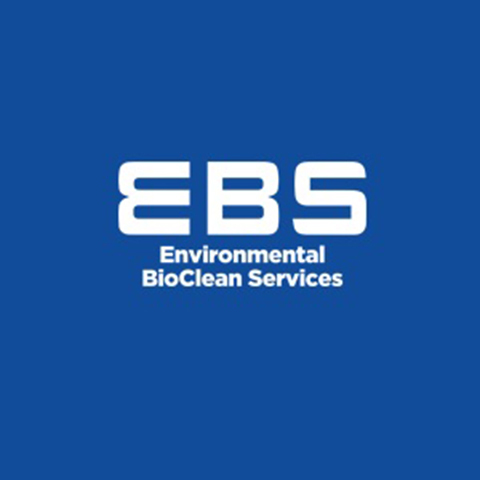 Learn more about them by visiting their official website at www.ebsbioclean.co.uk. Environmental and Building Services Ltd is a company that provides biohazard cleaning solutions to both domestic and commercial properties. They are experts when it comes to biohazard cleaning, bird and pest control, house clearance, and a lot more. They are able to provide high-quality services by employing competent workers and following the highest cleaning standards. If you are interested in availing of their services, there are a lot of ways to get in touch with them. For your written questions, comments, and suggestions, you can send them to their email address, info@ebsbioclean.co.uk, or fill out their contact form at http://www.ebsbioclean.co.uk/contact. Alternatively, you can call 01277 218241 to speak with one of their representatives.